I like the busy composition of this stand. 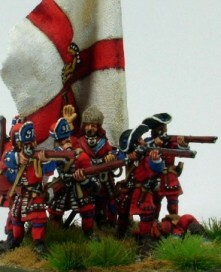 The grenadier officer is from the soon to be released Grenadiers attacking. lET ME KNOW WHAT YOU THINK IN THE FORUM POLL! !